Developer: Panther Games, Lock ‘N Load Publishing. 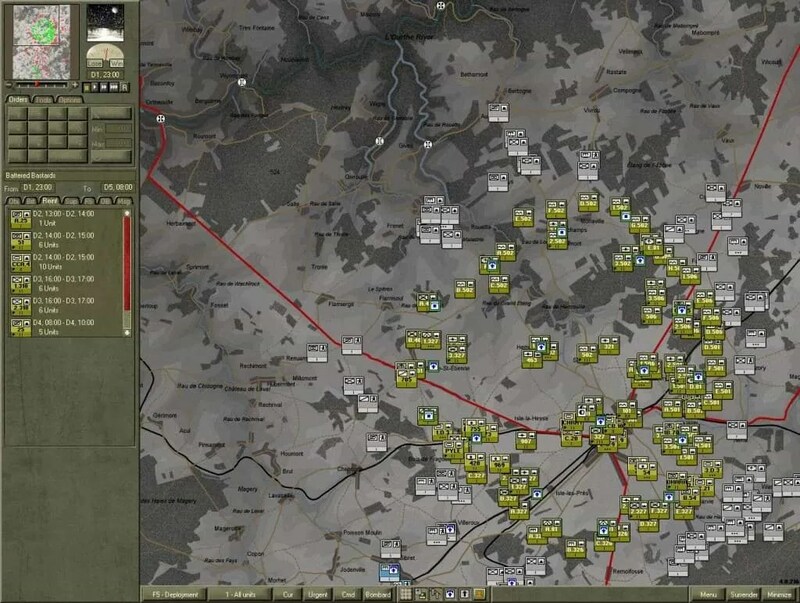 Description: A continuous time simulation of World War II combat on an operational level. It includes three free scenarios and additional premium scenario packages can be purchased. One of the most fascinating aspects of this simulation is the robust “construction set” which is included with the game allowing for a massive amount of customization and control for users over the game. Return to St. Vith – The 12th VGD defends against an attack by Patton’s Third Army in 1945. Greyhound Dash – German forces are advancing rapidly while American forces scramble to recover. Takes place in 1944. Manhay Crossroads – Part of the Battle of the Bulge, German forces are advancing while Allied forces attempt to recover, takes place in 1944.